Oklahoma State University's first inaugural "Virtual + Augmented Reality Hackathon" hosted January 26-27 by the Mixed Reality Lab in the university's College of Human Sciences gave students and the community a chance to tackle real-world problems using augmented and virtual reality tools, while offering researchers a glimpse into the ways teams work with digital media tools. 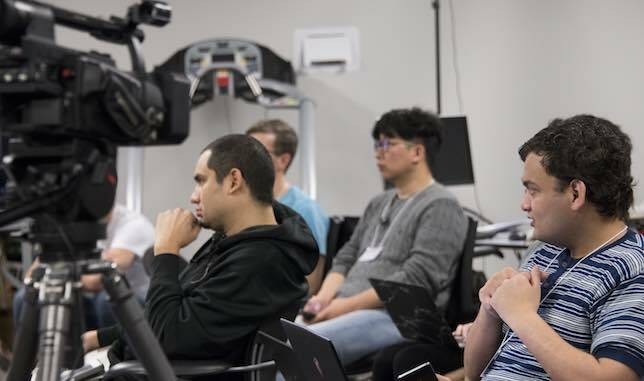 Campus Technology asked Dr. Tilanka Chandrasekera, an assistant professor in the department of Design, Housing and Merchandising at Oklahoma State University about the hackathon and how it fits into the school's broader goals. 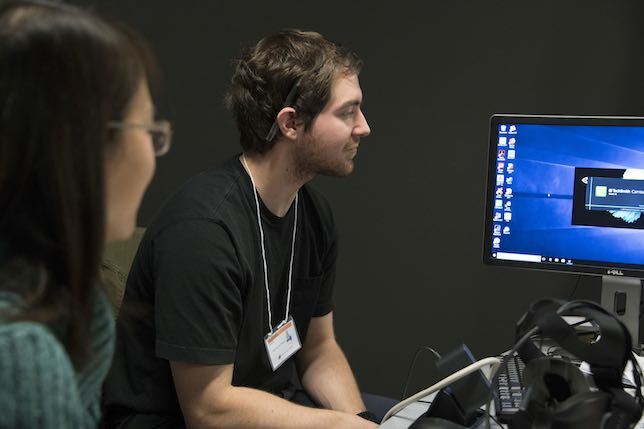 Mary Grush: OSU held its first Virtual and Augmented Reality Hackathon this past month. But the hackathon is actually part of a larger project and vision… can you tell me about that project and what you want to accomplish? Tilanka Chandrasekera: The entire project as we envisioned it has three phases. The first phase was a series of workshops that we offered earlier this academic year, both to students and to our surrounding community, focused on the basics of digital media tools like VR, AR, and 3D modeling and printing. Many people think, at first, that these technologies are difficult to use, but through our workshops they learn that actually, there are simple ways of getting things done. The workshops acted as a ramp up to the second phase of our project, which was the hackathon. From an applicant pool of 72 students and community members, faculty selected five multidisciplinary groups of five, who worked on solving a real-world problem using digital media. We partnered with Walmart to specify the problem area: retail training, such as stocking shelves. The teams were tasked to create their own solution and pitch it to our judges via a two-to-three minute video. Judging criteria included the use of technology and technical merits, creativity of the solution, marketability and usability, and presentation. While the groups were working, the process was documented by video and audio recording as well as screen capture. It's important to note that our research methodology was approved for human subjects by the Institutional Research Board. Given the various recording methodologies and survey questions, we obtained a significant amount of data, which has been distributed among participating faculty from several different disciplines. They will analyze and comment on the data through their own theoretical frameworks. That brings us to phase three: dissemination of our results. The main effort will be a symposium in the fall of 2018, open to all, at which we will present and discuss our findings. We'll try to respond to the question of how VR and AR can be used in different domains, as well as exploring the dynamics of multidisciplinary teams. Also coming up June 6-9, we will have a conference presentation at the Environmental Design Research Association, held this year in Oklahoma City. Grush: What disciplines were represented by the hackathon teams and the faculty participating in the event? Why was it important to include a range of disciplines? Chandrasekera: Student team members came from engineering, computer science, business, education technology, graphic design, architecture, interior design, civil engineering, and a variety of other disciplines. Faculty participants came from architecture, industrial engineering, graphic design, civil engineering, education technology, librarianship, materials science engineering, and more… From a research standpoint, we wanted to observe how such teams work, and how creative problem solving with digital media occurs in these multidisciplinary teams. So, as faculty we wanted to expose a wide range of students and community members to AR and VR tools — and as researchers we wanted to address the question of how multidisciplinary teams and people from different domains approach a problem, using digital media, and work together. Grush: How did you offer the teams support over the two days, as they worked on their submissions? Did they have a structure for their work process, other than to create their solution and pitch a video presentation? Chandrasekera: Of course we had faculty available for any questions, and members of the Video Game Developers Club at OSU also circulated to provide technical assistance. We had expert presenters from the AR/VR sector who could inform and inspire — most of them stayed beyond their presentations to circulate around and support the teams. We had retail merchandise "props" there for teams to use, along with all the technology available in the Mixed Reality Lab. But nothing was imposed on the teams, in terms of a procedure for reaching a solution to the problem, organizing their group efforts, or structuring the presentation of their work beyond the basic constraints of the video file. Grush: How might you change the hackathon's structure in the future? Chandrasekera: Of course there's a more complex answer than you have space for here, but I would say generally we'll start to include more corporate partners, as participants, observers, judges, expert resources, and professional contacts for our students. Grush: Can you tell me a bit about your findings now? Or even give us some anecdotal comments or tell us what types of things you might be watching for in the data? Chandrasekera: Actually, we want to analyze the data first, before commenting — it's just too early to comment on the data. But an example of a research topic we'll cover is how leaders emerge. Leaders are critical to "getting the job done", so we want to look at who the leaders are, their characteristics — specifically in our digital media team context — and how we can expect to identify leaders in the future. Grush: Besides the College of Human Sciences and the department of Design, Housing and Merchandising, are there other departments or entities on campus that are playing a major role in this project? Chandrasekera: Yes, I'd especially like to mention the School of Entrepreneurship in the Spears School of Business and its Riata Center — they contributed major funding and are hoping to leverage our findings to create a course or a component of an entrepreneurship course. The Riata center also provides the community in downtown Stillwater with entrepreneurship support, and we are working to make sure that OSU's surrounding community can benefit from our findings as well. Grush: What did team members gain? What was their reaction to the event? Chandrasekera: Some team members commented that they want to keep working together as a team, on their solutions and move them forward into the real world as real-world products. 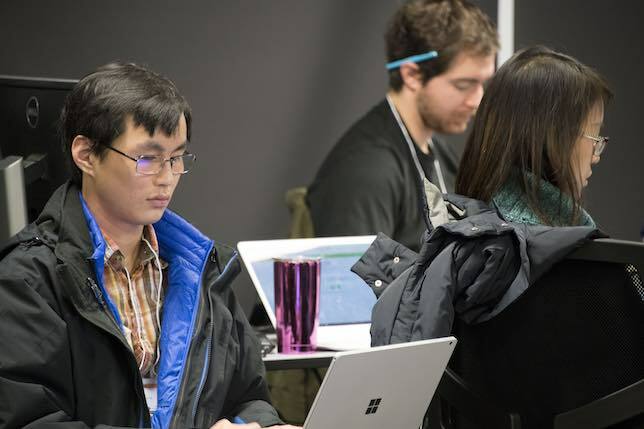 Grush: It sounds like the hackathon provided a kind of bridge to the real world — did some of the students seem to be taking their first steps into the "real world" of their professions? Chandrasekera: Yes. As teachers, one of our most important goals is to connect students to the real world, with lots of relevant background and a developing sense of perspective. With the hackathon, I think it is safe to say that we are succeeding as we prepare our students for the future.